don’t miss an opportunity. Trust others to help you Reach your potential. Community with other believers is absolutely essential to your spiritual growth. That’s because our relationships with others are where our faith meets the real world. But within authentic community, we need a subset of core relationships that go even deeper. These are the people who know things about us that no one else knows. These relationships offer us the kind of accountability that frees us from the burden of secret sin, allowing us to be fully known and fully accepted. These key people also have permission to point out our shortcomings, celebrate gifts we didn’t even know we had, and support and encourage us when our spiritual growth gets difficult . . . and it always gets difficult at some point. And we do the same for them because these are our closest companions on this journey toward a deeper relationship with God. 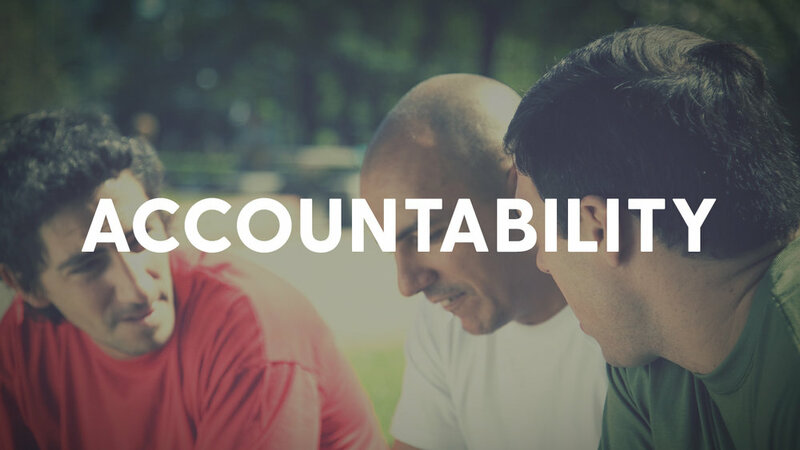 If you think you’re ready to seek out and build accountability relationships, download this guide. It will give you a little more background on the practice, as well as some questions you can discuss in a group or reflect on by yourself, and some tips for building relationships that will help you reach your potential even as you help others reach theirs.